Google: Google has a great experience for the individual user. But because Google Apps for Work is based on their consumer-grade offering, it lacks some of the basic requirements and central control that businesses often need. Given that Google is and will likely remain a consumer product-driven company, that will always be their challenge. That also explains why they rank so low on the execution scale and miss the magic quadrant. On the other hand, they seem to have replaced Microsoft as the new golden child to consumers (think Android vs. Windows Mobile or gmail vs. hotmail) which gives them momentum in the workplace driven by end users who want to use the same software at work as they use at home. The risk to businesses is that consumers are as fickle about software as they are about women’s fashions and consumers don’t concern themselves so much about things like user support, security, high availability, and privacy. Google’s roadmap. IBM: Of these 3 most popular players, IBM is the only one focused exclusively on Business needs, some would say to a fault. The benefit here is their solutions start with the specific needs of business and build up from there and avoid the fickle consumer-driven market. Of course, that can also be their bane. As a result, sometimes their user experience has lacked the fine tuning that the consumer-focused companies have. On the other hand, their solutions offer functionality for the knowledge worker that is totally absent in the consumer-first solutions. I am anxiously looking forward to how this is influenced by their recent partnership with Apple. Given IBM is all about business process and data center while Apple is all about user experience and personal devices, this could prove a great marriage. I completely agree with Gartner’s assessment on IBM’s need to market to developers and third parties to contribute. The reference to customers’ perception of it as a complex solution would be valid if they were comparing on-site-based solutions. But they aren’t. In fact IBM and Microsoft are the only two of all 17 to even offer their solutions as both cloud-based and on-site. If we limit the comparison to cloud-based versions, this is not a factor. It has also been impressive how IBM has demonstrated its commitment to their cloud solutions by adopting a cloud-first strategy. Functionality is being added on a monthly basis to their cloud solution with those features being released in the software edition afterwards. I know they have a busy roadmap. I just wish it were published. Rumor and blind faith is not a business strategy. Microsoft: While also primarily a consumer-product-oriented company, Microsoft has solid footing in the business software solution market. Microsoft is more of a latecomer to the social game, but is doing a good job catching up with their acquisition of Yammer. Yammer is good at what it does and even before its acquisition by Microsoft, it was adopted by many organizations starting with pockets of rogue employees, forcing I.T. departments to catch up. This is proof that I.T. leaders should be actively pursuing a social software solution or risk having the employees do it without them. Microsoft has a published roadmap of upcoming features. When you read Gartner’s article, I recommend starting with the criteria definitions on the right, where they explain what they were basing their evaluations on. Without understanding their criteria, the assessment can be misleading. 1. Disaster Recovery and Business Continuity: Nowhere in the report does it mention the infrastructure supporting these solutions. From the end users’ perspective it is irrelevant… Until something goes wrong. A hurricane, gas explosion, terrorist or hacker attack. “In the cloud” does not mean out of harm’s way. One of the strongest arguments favoring a cloud-based solution is the assumed resilience to such events. Cloud solutions can reduce the need for businesses to invest in redundant data centers, etc. provided they themselves have executed their own plan adequately. Given the high failure rate of companies that encounter a catastrophic data center event without a DR-BC plan (as published by FEMA), a CIO should be very interested in this criteria. I am very familiar with how IBM and Microsoft address this and am comfortable with both of them. I don’t know enough about Google’s infrastructure for the Google Apps for Work. Regardless of your provider, you should know their DR-BC strategy and implementation. All three of these providers have various discussion forums. IBM has Greenhouse, where you can also see new features before they go into production and can share product enhancement ideas that the community can promote. Several product managers are active participants in the discussion forums and persistent, live chat sessions, engaging the customers. When it comes to Social Business, IBM clearly practices what they preach. I expect part of that comes from IBM having a virtual office philosophy while Microsoft and Google are more campus oriented. I have yet to discover that level of public accessibility with Microsoft and Google. That doesn’t mean it doesn’t exist and if you know of it, please share it in the comments. Probably the biggest factor that will trump all others is where you are starting from. Mail migrations are expensive, so if you don’t pick a vendor that already provides your email system, their solution either needs to integrate well with what you have or you need to be prepared to go through an expensive and disruptive migration. Taking a diversion from the usual technology-related topic to share a bit of what most people will never see, Sunday morning, 5:30 AM, the first day of Fall, 2014. My internal alarm clock wakes me up. It is still quite dark outside. Charlie, our rooster hasn’t even woken up yet. That reminds me of something I have wanted to do for a long time: watch the large flock of birds by UW Bothell leave their roost. Would there ever be a better day to do it than today? Probably not. 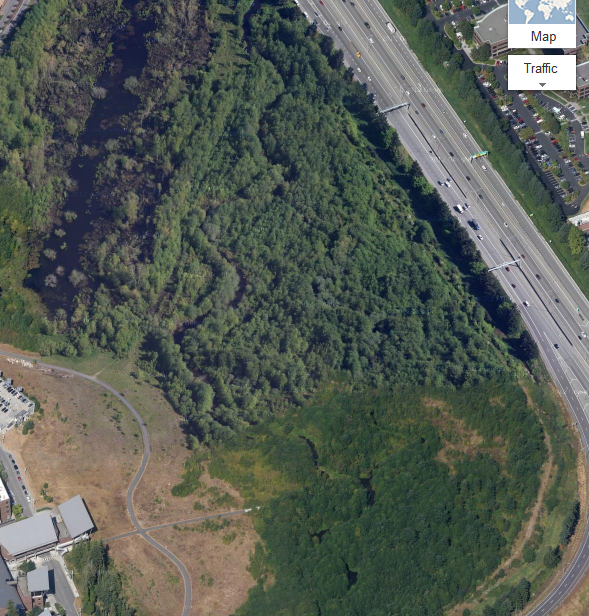 So I got up, grabbed the camera and tripod and headed over to the bike trail by the UW Bothell campus. I got there by 6:00 AM. The air was mild and very calm. 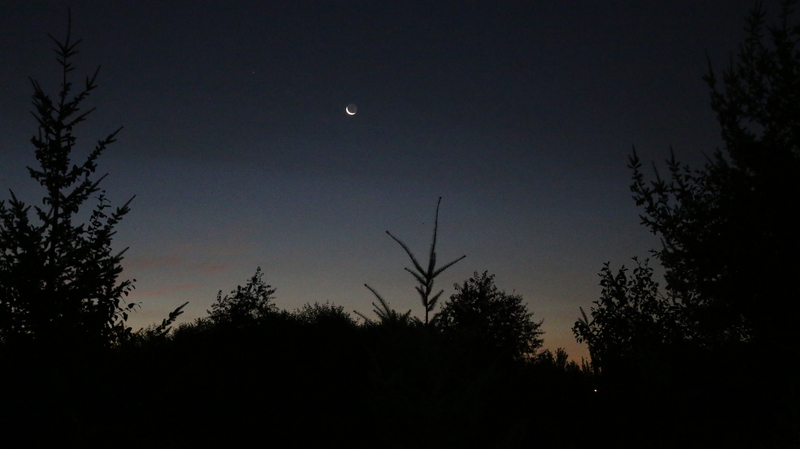 It was still dark enough that the dark side of the New Moon with a brighter thin crescent edge was visible to the east, looking out over the roosting area. I set up my camera and waited. It wasn’t long before the first birds start to fly, around 6:10 AM. It started off slow at first, but very quickly the sky was full of them – A Murder of many thousands of Crows! I was able to capture the sunrise as they left their roost in rivers of birds flying out to greet the world. I noticed that they don’t just fly out in all directions. Instead, they follow flight paths as if Air Traffic Control were giving them instructions. The stream of birds went on for over 30 minutes. Since it was early on a Sunday morning, the traffic noise from the highway was quiet. The result is a very peaceful, almost meditational video. I can imagine leaving the video playing on one of my computer monitors for a calm white-noise effect to offset the chimes of meeting reminders and email alerts while I work. It is recorded in HD, so it’s worth watching in full screen. Don’t let the conditioning of modern television’s 5 to 20 second long clips between scene changes make you anxious after a minute or two of this. Consider finding a time when you can sit and let the video play in its entirety as if you were there yourself, filming it. If you are looking for a moment of excitement, you will have to create it yourself. Count the number of times you see a lone bird flying in the other direction. Or count the number of times a bird flaps its wings as it passes by. Or count the number of times a pair of Canada Geese fly by. Or count the number of distinct caws you hear. Or simply count the number of birds that fly by. Or just watch the rhythm of the stream of birds as the sky gradually changes color. This far north, we have long sunrises. Enjoy. 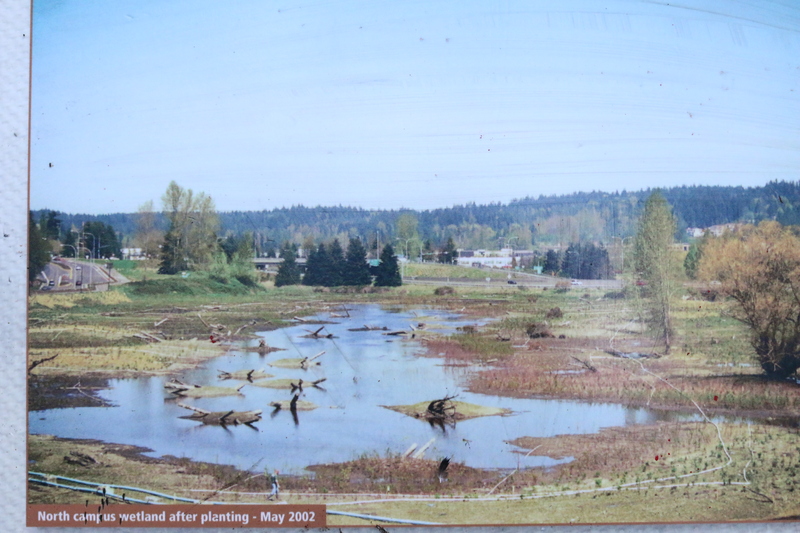 The Bothell crows make up a murder of many thousands of crows that roost every night at the 58 acre wetlands restoration site sandwiched between I-405, Hwy 522, and the University of Washington-Bothell campus. You can learn more about this flock of crows at the UW website. You can also get a better idea of just how large this murder is from this footage of them gathering again at the end of the day. 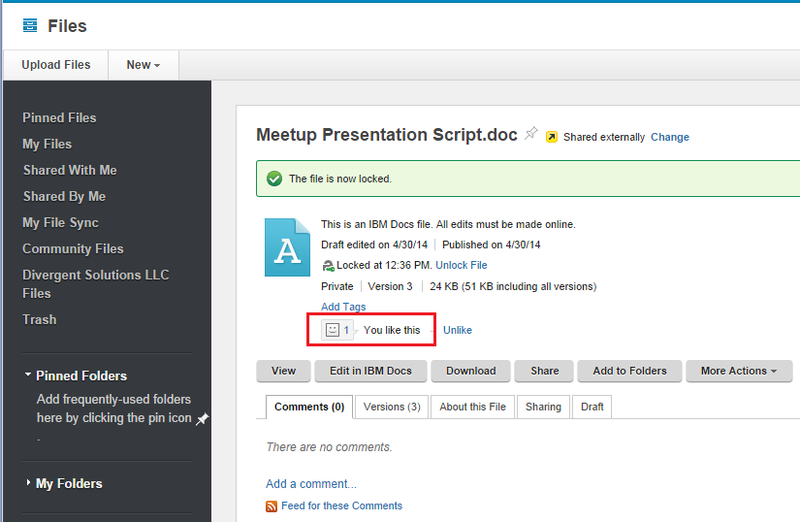 SmartCloud Tip #05: Problems for mail and calendar delegates. You’ll get tons of helpdesk calls if you don’t do this. One of the points IBM stresses during your migration to SmartCloud is to migrate delegates of mail files, calendars, and contacts either ahead of or at the same time as the people who delegated them (delegators). This is necessary because a user cannot access databases on the SmartCloud servers until their own account has been added to the service. This is part of the security model. In other words, mail files in the service can only be viewed by users that are in the service. No problem. As you build your batches for migrating, the migration process alerts you who the delegates are for the people in a given batch and those delegates can be added to the same batch with one click. But what is missed is that the delegates have bookmarks and calendar overlays pointing to the delegators mail or calendar. Those bookmarks point to the servers on-site, not in SmartCloud. 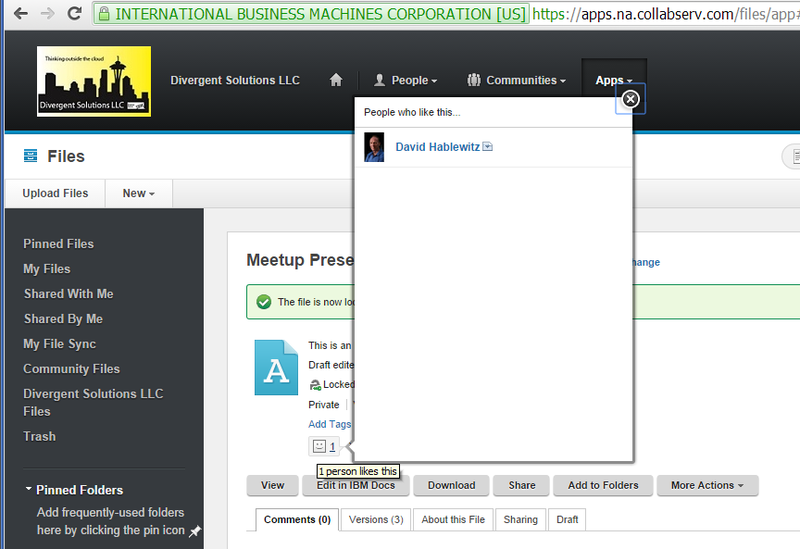 So as delegators are migrated to SmartCloud, the old links that other people have to their mail don’t get updated. The end result is that delegates will continue to view the old data in the database on the server on-site even after the delegator has moved. The delegate gets no warning that the delegator has moved. The only clue is that they no longer see any changes that are made in the delegators’ mail or calendar. What makes this more insidious is that the problem begins when the DELEGATOR is moved, not when the delegate is moved. So an administrative assistant that manages many executives’ mail files has to constantly monitor when those executives are moved and then update their bookmarks. That is why it is a best practice to be sure to promptly delete mail files from the on-site servers after their owners are successfully migrated. Life for delegates can also be simplified if all of the mail files that a delegate has access to are moved in the same batch. Then the delegate can update all the bookmarks at the same time. You could go a step further by creating database redirects as the databases are deleted from the servers on-site. If you do this, you don’t have to alert the delegates every time a delegator’s mail file is moved to SmartCloud. However, this can’t be done if you just approve the database deletions posted in adminP as part of the migration process. You need to create these some other way. One method is to delete the databases manually in the admin client where you can also add the redirect when it is deleted. You could also do this programmatically with an agent. I invite any developers to post a comment on the details for doing that. I have posted an idea in IdeaJam requesting an enhancement. as well as in Greenhouse. But back to my original point: lifetime learning. If you aren’t investing time in your professional development, then you are likely to become obsolete soon. Adopt a growth mindset and feed your mind. There are some fantastic education websites out there to cater to everyone from Kindergarteners to Post-graduates and every kind of special interest in between. Many of these are free, operating under the philosophy that knowledge should be free to everyone. Here is a selection of what I have found. If you know of others, please share them in the comments for all to benefit. https://www.coursera.org A partnership of universities supplying a broad range of classes FOR FREE. Check out the wikipedia article. https://class.stanford.edu/ Stanford University offers access to a variety of classes FOR FREE online. Not for the feint-of-heart. Check out the class on cryptography if you want a challenge. http://www.w3schools.com/ Learn computer programming languages FOR FREE. Sponsored by a cool Norwegian web development company. I know there are many others out there. Do you have any to share?